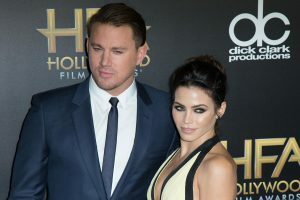 Although the media has pegged Jenna Dewan Tatum and Channing Tatum as an ideal couple, Jenna says that they fight like any other couple and are far from perfect. The actress opened up about her relationship on with Health magazine and said that sometimes Channing makes her want to scream. She said that she and Channing are a great fit because they have similar goals, and they have grown together. But they still disagree and have days which they don’t like each other. She added that it is also essential that a couple is physically attracted to each other as this means that a couple can always stay connected. Jenna says that although a person’s mind may convince you that you are a good fit, your body will not lie and if you feel attracted to someone or tense, this is a good indication about if you are a good fit with someone. The actress and dancer also believes that being confident about your body can make a healthy relationship as it means that you as an individual feel good about yourself. Jenna says that her mom had always made her feel confident about her body by always telling her that she is beautiful even when she didn’t feel her best. Although working in the entertainment industry can be hard, Jenna says that it is important not to compare your body or talents with anyone else as it will make you feel uninspired and unappreciative.